As of this writing TRESE: MASS MURDERS is now available in Comic Odyssey, Robinsons Galleria & Ermita, Powerbooks, and Pandayan Bookstores. 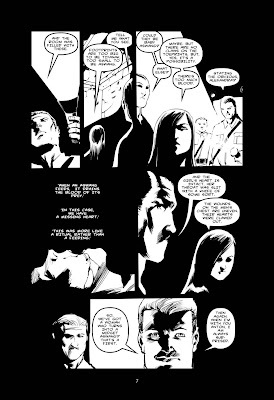 It will be available in bookstores and other comic book shops by next week and will be available nationwide by the end of November. 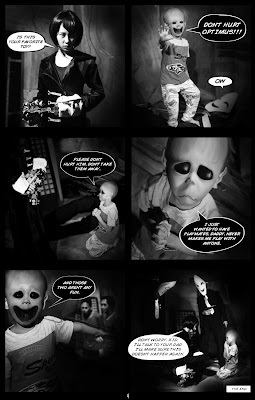 While you wait for it to arrive in a store near you, here's a preview of the first chapter of the book. 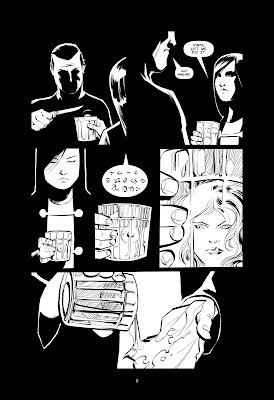 More diabolical treats for you! 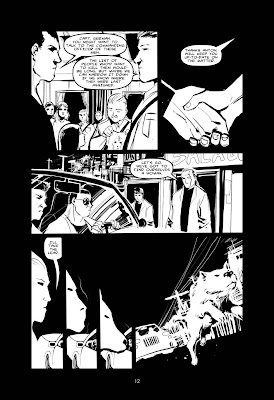 Anyway, this is just practice for Melvin, who's now gearing up to do a 200-page fumetti for his thesis. 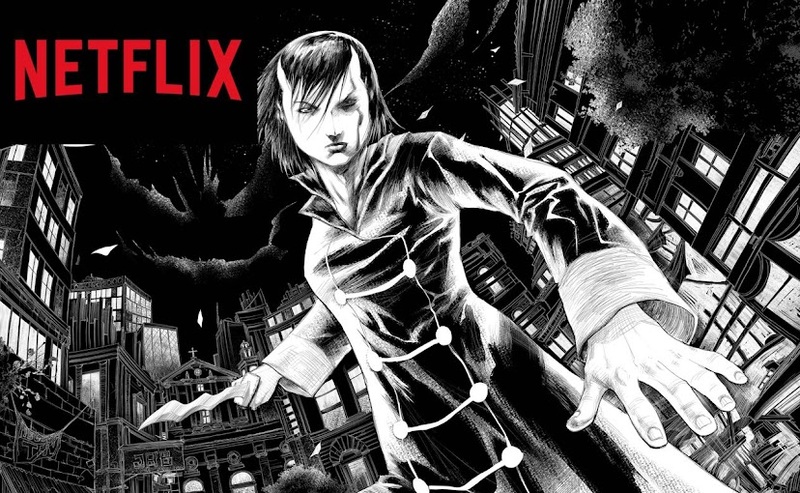 We've seen the preview art/pix and it looks great! 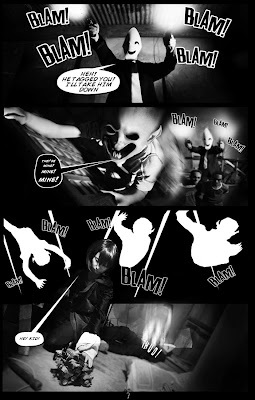 Hope to eventually see that epic in some future Komikon! 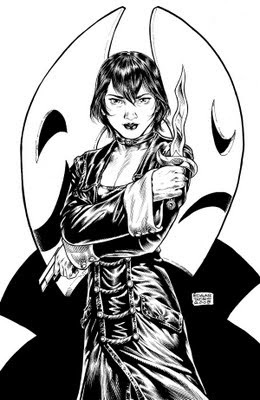 While you're all patiently waiting for TRESE: MASS MURDERS and UNDERPASS to be delivered to a bookstore near you, might I direct your attention to the lady black. 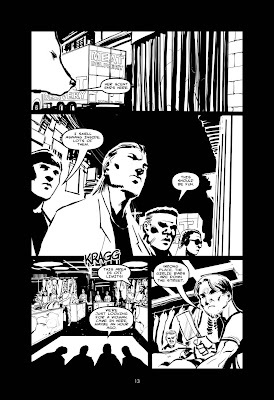 In the month's issue of ROGUE (with the bewitching Ornusa Cadness on the cover) you will find a brand new, 6-page TRESE mystery. 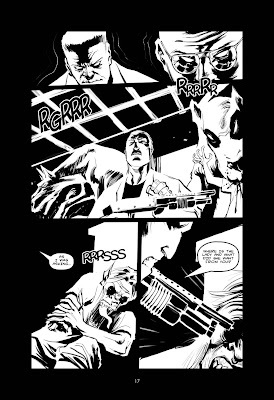 Kajo was busy working on Book3 and The Clinic when we got this assignment, so I was lucky enough to track down and dig up Mark Torres from his underground lair and convinced him to do this story with him. 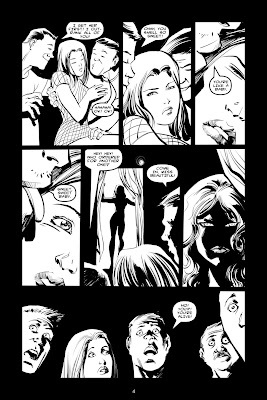 Mark had done a Trese pin-up before and we collaborated on another horror story (which has yet to see print), so I thought I already knew what kind of pages to expect from him. 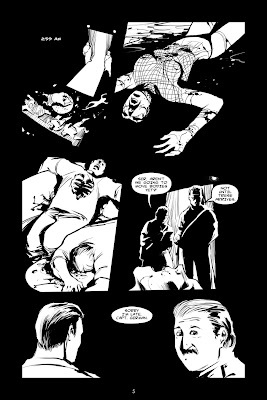 You can image how blown away I was when he started to email me these pages featuring his new art style. 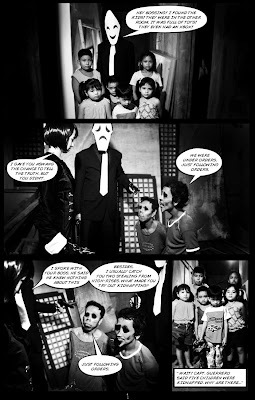 Aside from the Trese story, the issue also feature six haunted spots in Manila, as well as more pictures of Ms.Cadness. The October issue of ROGUE is now available in bookstores and magazine shops everywhere. 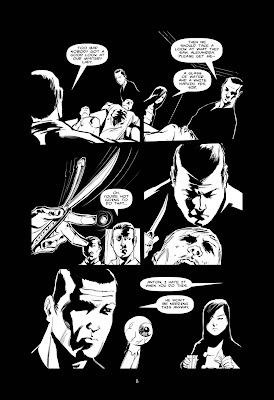 During the 2005 Komikon, we launched the very first issue of TRESE. 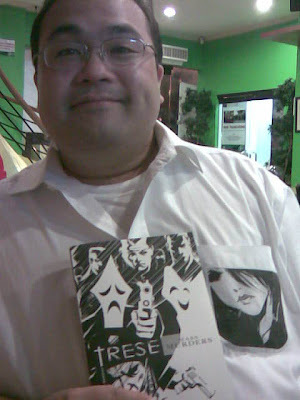 We sold that Xeroxed edition of TRESE: AT THE INTERSECTION OF BALETE AND 13TH STREET for P30. 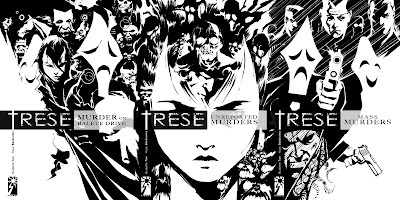 Six hours after the gates of the Komikon had opened, we had already sold out all the copies of TRESE. I excitedly texted family and friends that my comic book was sold out. Great! Wonderful! Congrats! How many copies did you sell?, they all asked. I replied : 50 copies! 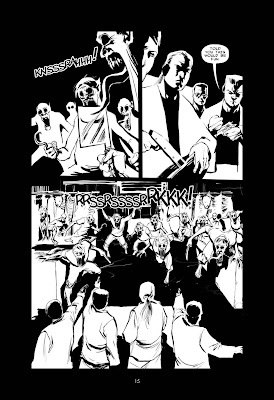 In the recently concluded 2009 Komikon, we launched TRESE: MASS MURDERS. Two hours after the gates had opened, we had already sold all the copies. I leaned over to Ella of Visprint to ask how many copies did they bring. 180 copies, she replied. That did not even include all the copies of TRESE Book1 & 2 that were sold. 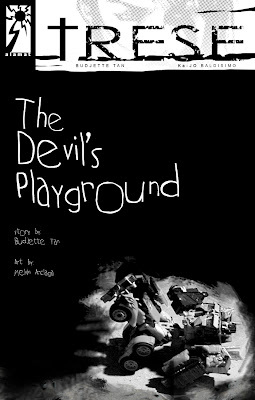 So, if my 2009-version traveled back to talk to my 2005-version and told him we’d sell almost 1,000 copies in a single day, I would’ve probably told him he was insane! 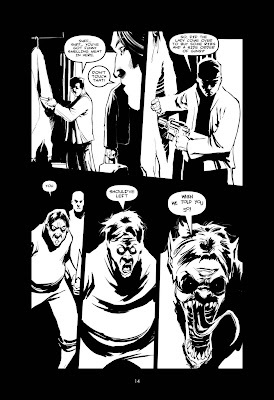 Which would not have been surprising considering this whole TRESE experience started with an insane proposal from Kajo to do a monthly comic book. I’m just more than happy that I was crazy enough to accept that challenge. Another insane thing we experienced during the recent Komikon was soon after people bought the book, they started to text us about it. In just a couple of hours we were already getting reviews about the book. It was a strange, weird, and wonderful feeling to get such great feedback so quickly. People were already asking us when the fourth book is going to come out. 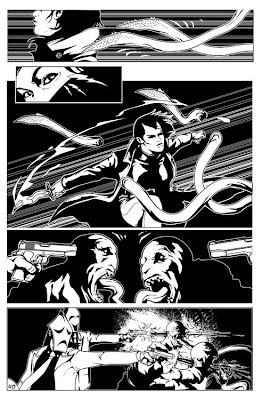 Actually, Kajo’s already bugging me to give me the script for Case #14. So, worry not, gentle reader, it might just all happen sooner than you think. Before we get into all of that, we must say thanks to fantastic Team KOMIKON for putting together another successful event. (And thank God you finally decided to hold it in an airconditioned venue! Thank you very much!) Thanks to Nida and the Visprint crew for patiently waiting for us to finish the third TRESE book. Thanks to everyone who prepaid for the book and to everyone who bought the book (and multiple copies of it) at the event. We apologize to the ones whose names we misspelled (and forgot) as we signed your copies of the book. Thank you very much! And let me just repeat what I said in the afterword of the book: that Book3 is definitely NOT the last Trese book. Believe me, we’ve got MORE stories to tell. 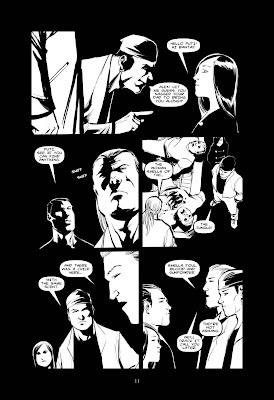 TRESE: MASS MURDERS should be in most Manila bookstores & comic book stores by first week of November and it should be in most stores nationwide by the end of November. 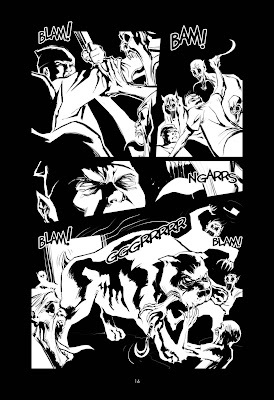 More about the other highlights of the Komikon in the coming days! This book has an introduction by Mark Gatela, who was my co-writer in that horror radio show "The World of the Unknown". Mark was the one who thought of the name Anton Trese, so I thought it was only appropriate for Mark to do the intro to the volume where we all finally meet Anton Trese. 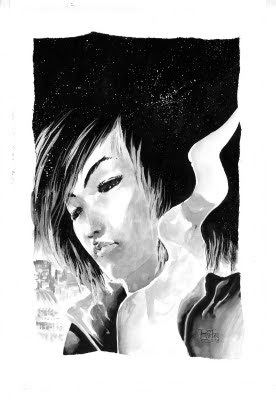 The backmatter of the book has more sketches from Kajo; more Exhibit 13 art from fans, friends, artists, and cosplayers; a note from Neil Gaiman; and my original pitch to Kajo on what "Trese" was going to be about. 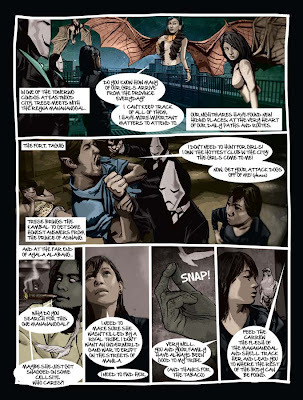 This 160-page, black-and-white graphic novel retails at Php 200.00. Now available at : Comic Odyssey, Robinsons Galleria & Ermita, Powerbooks, and Pandayan Bookstores, National Bookstore and Fully Booked. 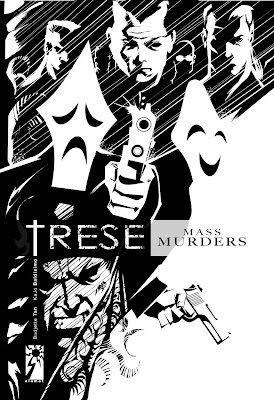 TRESE:MASS MURDERS by Ferdinand-Benedict G. Tan and Jonathan Baldisimo is licensed under a Creative Commons Attribution-NonCommercial-NoDerivs 3.0 Philippines License. The Universe was created in seven days. It took Ian and Mervin two years to finish this corner of Skyworld. Let us all pray to Bathala that it doesn’t take them another two years to finish the third and last book of this epic tale. I must emphasize that the creation of this tome required the summoning of god-like powers; wherein time was carved out of their impossibly busy workdays. Like heroes on some noble quest, there were days (and nights) when they had to forego sleep just to reach their destination. And I must say, the two years was worth the wait. And let us all pray to Bathala that … oh wait, I already said that. 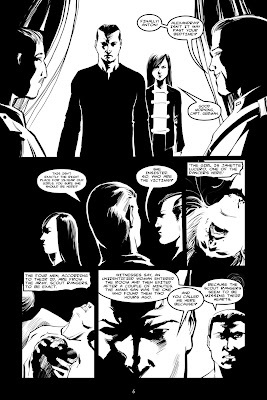 Of course, this issue holds a special place in my heart since this is the first time Trese and the Kambal crossed-over to another graphic novel. As kids, we’d have a geekgasm whenever superheroes from different teams would team-up. And our heads would just explode when Marvel and DC finally started doing company-wide-cross-overs. Makes me wonder if this is how Stan Lee, Jack Kirby and Steve Ditko felt when they made Spider-Man guest star in the Fantastic Four title. We are ever-so-slowly creating a new universe. Forgive us if it takes us more than the usual seven days to get it all done. We are still accidentally discovering those roads that intertwine; that down the street from the Diabolical is the upward path that leads to Skyworld. 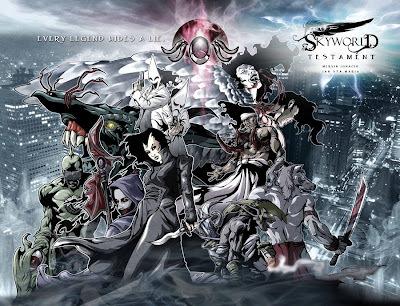 UPDATE : SKYWORLD: APOCRYPHA and SKYWORLD: TESTAMENT is now available at Comic Odyssey, Robinsons Galleria. You are invited to take a trip to the other side and come face to face with your most horrible nightmares, your deepest secrets, your greatest fears. Follow the path down to the Underpass. What do you do when you find a cellphone SIM card? Do you try to find out who used to own and try to return it? Do you keep it and use it for your own? What do you do when you start receiving mysterious messages from the previous owner? When lost souls and wayward demons wreak havoc in our world, the Goddess of Death send her immortal warrior to set things right. His name is Kadasig. 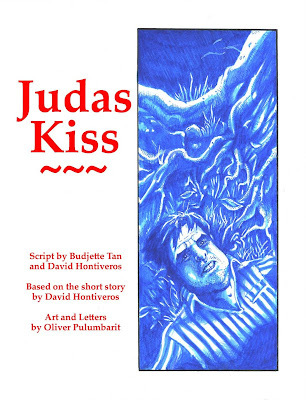 In a secluded house in the hills of Antipolo, Peter hides a secret. He has murdered his wife and brother and buried them in the garden. Peter is about to discover that the phantoms of his past hold an even more terrible secret. Up-and-coming actress Lyn Reyes just found out she’s pregnant. This unplanned development will ruin her career, or so says her manager. 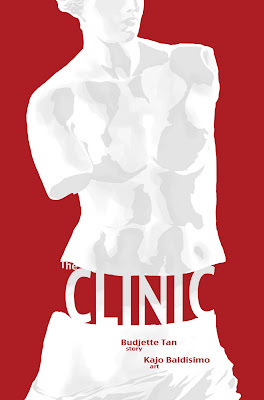 So, she agrees to have a very discreet operation at The Venus Clinic, where she discovers the darker side of showbiz. 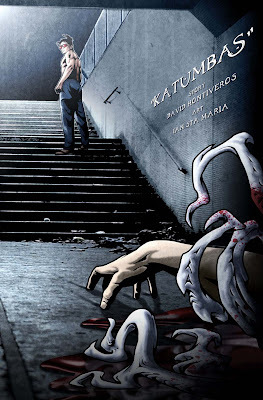 Set to launch this coming KOMIKON 2009 (October 18, Megatrade Hall 1, SM Megamall), "Underpass" is a graphic anthology featuring dark fantasy stories from some of today's greatest Pinoy comics creators. 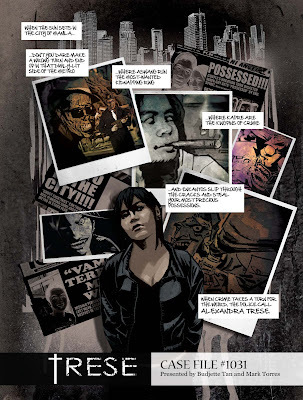 The full-color anthology, which is Summit Media's first foray into Philippine-produced comics, will retail for P250. 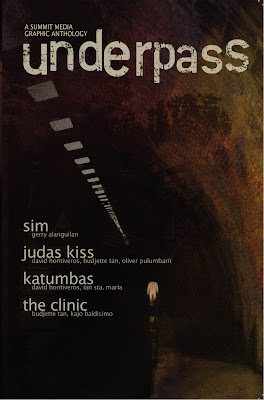 After the Komikon, Underpass will be available in major magazine shops. 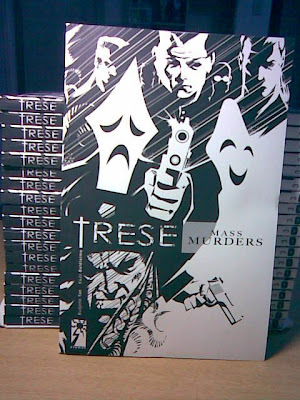 Last Saturday, we were able to get our advanced copies of TRESE: MASS MURDERS from Visprint. Thank you very much to the 48! 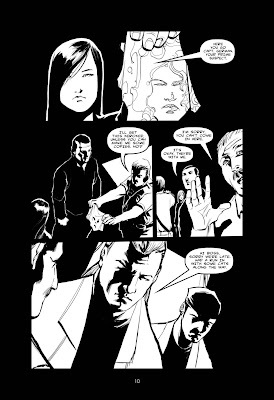 Hope you like it a lot and enjoy the extra treat we've slipped in the book. 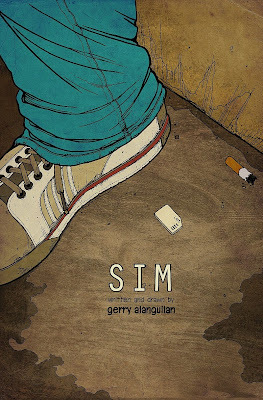 the book will be launched at the Komikon, Oct 18, Megatrade Hall! I shared the stage with Jomike Tejido, creator of the Foldabots and Robotars. Jomike's talk was more organized and fun and he didn't babble. Thanks to Jan Vincent Ong for organizing the IDEAS ALIVE seminar. And many thanks to Supreme Philippine Star, Powerbooks, K-Zone, and Jack N Jill Pretzels. And I would like to thanks Bruno's for my hair and nobody for my make-up. Ideas Alive! A seminar and workshop on how to be a media creator. 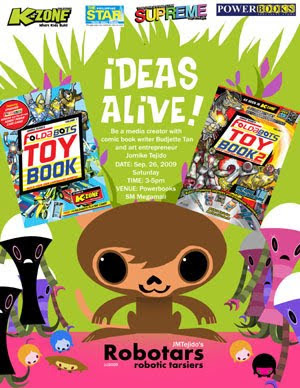 A talk on how to make your creations come alive in different mediums. Your ideas don’t have to be boxed in one medium. 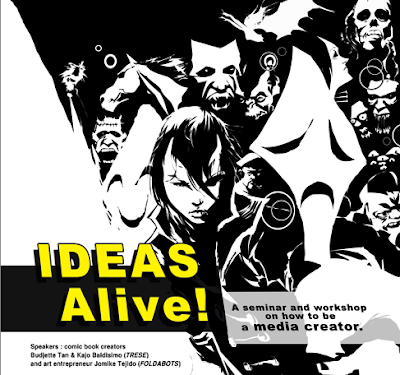 Don’t just be a comic book creator or a toy inventor-- be a media creator!